One of the most popular handguns of all time, the Smith & Wesson Model 10 has been produced in numbers well into the millions. Used by many police forces until the semi-auto gained popularity, many countries produce copies of it for their own law enforcement agencies. Available still as a new gun from the manufacturer, it is a simple to maintain, easy to use, reliable weapon. 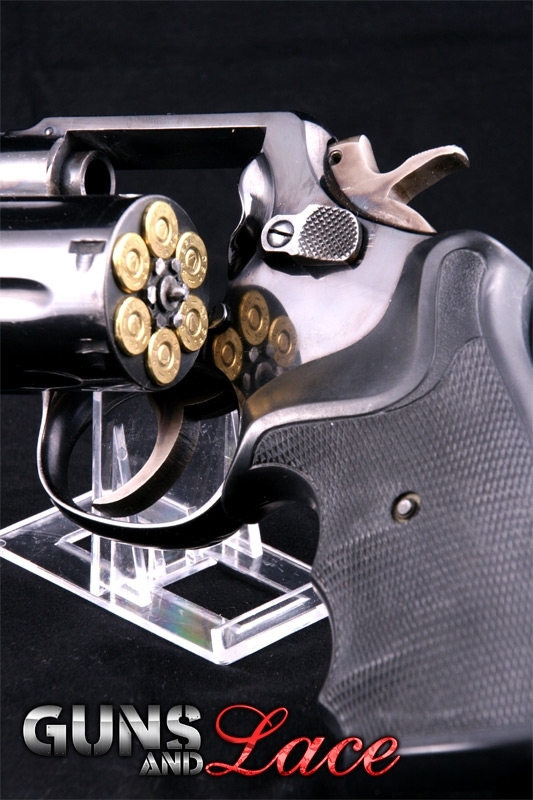 As handguns go, its .38 caliber bullet packs a solid punch, and can handle the .38P on a limited use basis to supplement its capability and deliver hard hitting power from a small frame. While it may not be the most accurate pistol on the range, it has a comfortable grip that fits most hands well. Add a set of Pachmyer grips like on the one we shot with, and it is rock solid. This little snub nose special delivers a surprisingly consistent 3" grouping at 5 yards. The trigger pull is smooth, the blade sight is clean and easy to line up and the cylinder releases easily and shuts with a flip of the wrist and a nice snap. When you fire a short barrel model 10, you better have ear protection because its bark is that of a much larger dog. Popular with both men and women, this pistol is affordable, packs a punch, and has earned its place in our hearts. Jessica is an insurance company super agent by day, and gun enthusiast on the weekend. 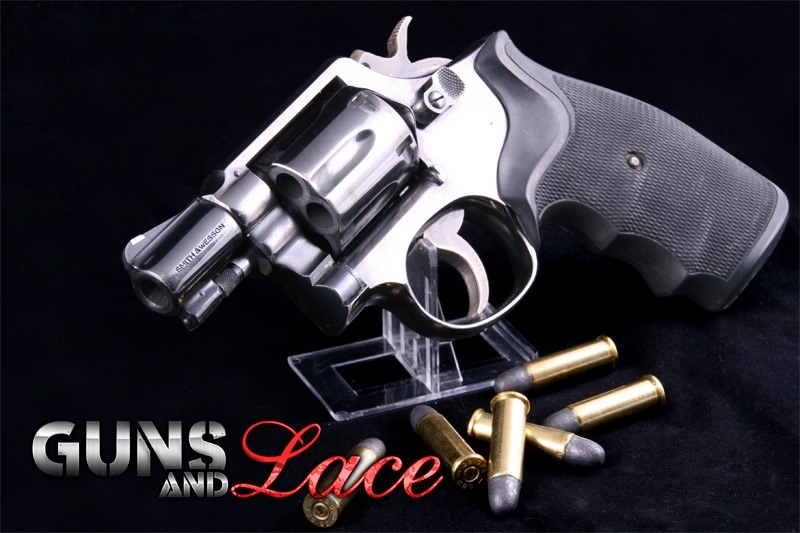 Jessica's gun of choice is a Smith and Wesson snub nose 38! Now how is that for Life Insurance!? "If they aren't shooting or blowing stuff up, it just isn't a movie worth watching!" Should call this one guns and leather! A Bikers dream! Yes Please! I want some more! .38 snub is a great carry gun! Incredible... I love the Smith and Wesson snub nose .38, don't think I would want to get on the wrong side of Miss January!